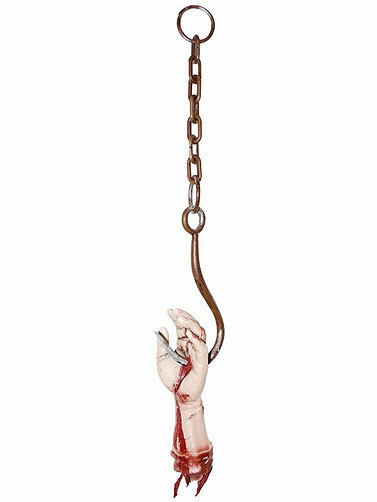 Bloody Hand On Hook is a gruesome body part prop that is perfect for Halloween. Plastic bloody hand with impaled rusty looking hook and chain for displaying. Hand measures 10" x 3", with 1" chain links. Safe for outdoor displays. Bloody Hand On Hook measures 22"L.